This time we get production art for Blitzmon and Bolgmon! The image above is an early rough draft for the character, where the overall look looks reasonably similiar to the final design, with the primary difference being that he was a much thinner and sleeker character early on. And then we have a rough image that is basically just the final design. Overall Blitzmon had an interesting change in development, but nothing that large. Bolgmon had different roughs that they refer to as trial and error to find a design for him. 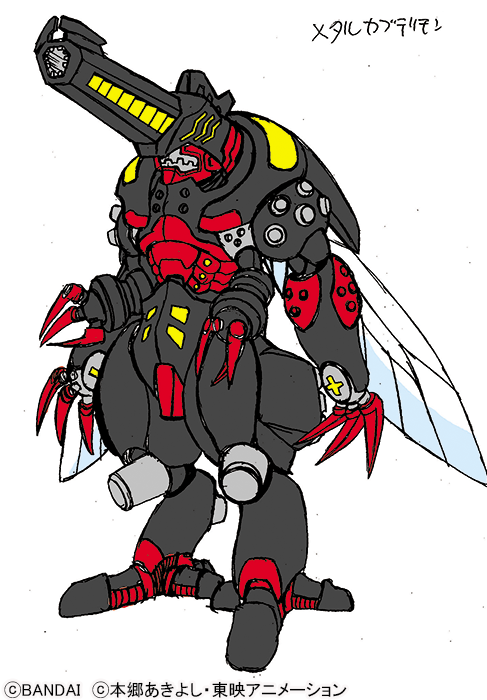 Early names for the character included Billibeemon and MetalKabuterimon. MetalKabuterimon ended up being his English name in the end. 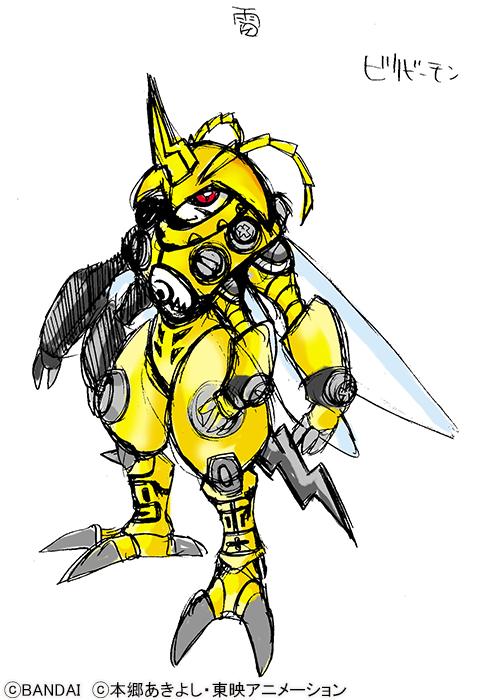 The initial design looked very wasp/bee/lightning like, and quickly moved to something more akin to the final design, and stuck with it thru other redesigns. The final rough they show is very similiar to the final character, with the primary differences being having proper feet, with a different color scheme. Just a bit left until the Frontier Blu-ray is out, and it seems likely we will get more designs soon! lol, MetalKabuterimon. 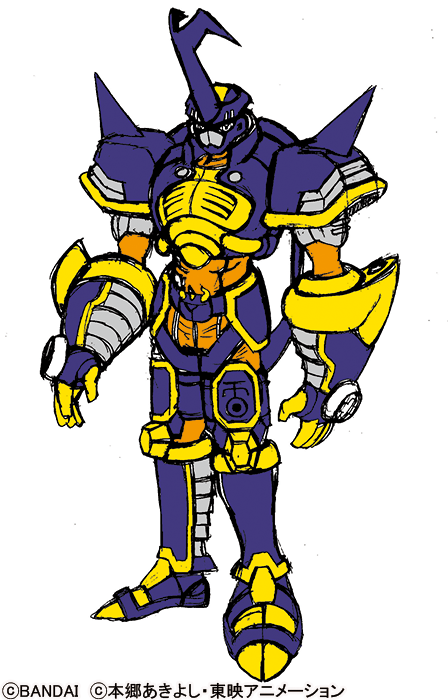 BiriBeemon looks a lot like some of the Digimental of Knowledge Armors. Wouldn't have been a bad Child form for Blitzmon, either. Come to think of it, MetalKabuterimon looks a little like a fused form like Ardhamon and BeoWolfmon. I really like the wings of the original. 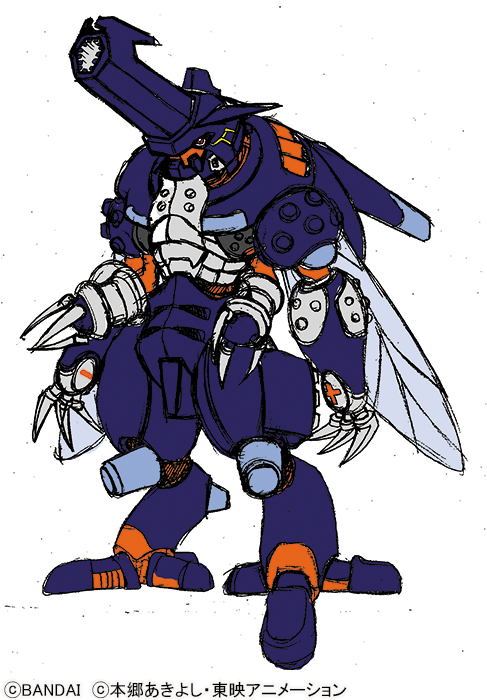 and huh, MetalKabuterimon. Wish they'd gone with that for obvious reasons. I love that black-colored Bolgmon design. I like that it looks more insectoid than the final design. Wow that prototype Bolgmon (Without caterpillar wheels) could be perfect for Fusion spirit of Thunder while the Black one might be good for the final form of Thunder. And Another Beemon species? So much Beemons. I think there are two or more people at digimon designs in charge must be Honey farmers or something like that... But he looked too much similar to Rajinmon. 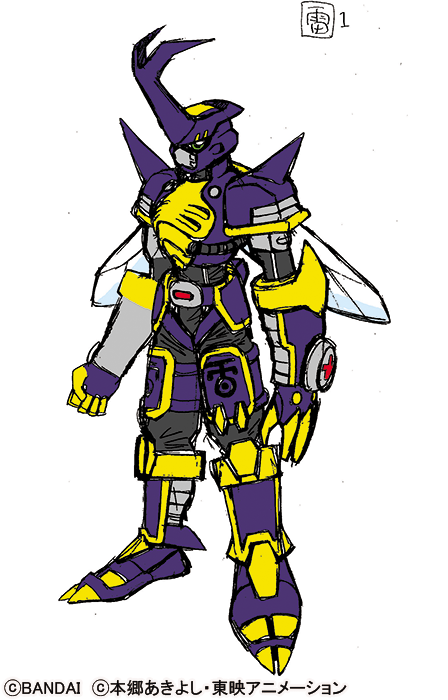 Thinner Blitzmon almost look like it's too good to be a Kamen Rider. I like it. And yes, the beta for Blitzmon does look Rider-like. Or at the least, Metal Hero like. Like a more designed BeetleBorg. Remember them? I do wonder if they told the dubbers to use MetalKabuterimon. It's way too much of a coincidence and they do tell the dubbers alternate names from the Japanese from what I understand. (Bandai/Toei Japan that is). More than likely as most localized Digimon names are chosen by Bandai.